A detainee of Guantanamo Bay who was born in Germany of Turkish descent had been tortured for four years prior to his release. His lawyer said he was held under perpetual neon light for years and was transported chained to the floor, AP reports. Murat Kurnaz, 24, was flown Thursday to the U.S. military's Ramstein Air Base, where he was handed over to German authorities. Chancellor Angela Merkel and her government had secured his release in lengthy negotiations with the U.S.
Kurnaz traveled in October 2001 to Pakistan, where he was detained by Pakistani authorities and then turned over to the U.S. He had been held at Guantanamo, in Cuba, since January 2002, and lawyers were first able to visit him in 2004. "Murat Kurnaz was tortured during this time," his lawyer, Bernhard Docke, asserted at a news conference in Kurnaz' home city of Bremen. "I heard from him yesterday that, for example, he lived in bright neon light for 4 3/4 years. This light is never switched off." During his flight home on Thursday, "Kurnaz had his hands and feet bound," Docke added. "He was chained to the floor; his eyes were covered." Kurnaz, who did not attend the news conference, has yet to appear in public since his release. "Mr. Kurnaz wants to have his peace and quiet at the moment," Docke said. "He cannot yet really understand what happened." 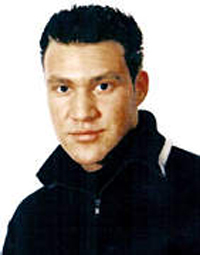 Kurnaz was born in Bremen, in northern Germany, but holds Turkish citizenship. U.S. officials maintained that he was a member of al-Qaida, based on what they said was secret evidence. But a later review of declassified evidence in the case showed no indication he was connected to al-Qaida, the Taliban or any specific threat, according to his attorneys.